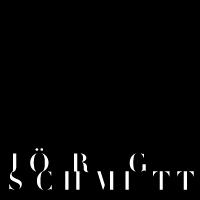 Jörg Schmitt was born in 1985, in Marburg, Germany. He graduated "Kommunikations-Design" at the University of applied sciences in Trier, in 2010. Since then he is working for the global branding agency Interbrand Zintzmeyer & Lux in Cologne. Obviously, he is constantly searching for new ideas for typefaces. His fonts are mostly influenced by strategical processes. He was nominated with his font family “Hellschreiber” for most talented young professional by "Rat für Formgebung" in 2010.